His name is mentioned a few days ago at the side of FC Barcelona. This time it is done. Claudio Bravo is now goalkeeper of Barça. Aged 31, Bravo, former goalkeeper of Real Sociedad, chose to evolve now in the Catalan colors. 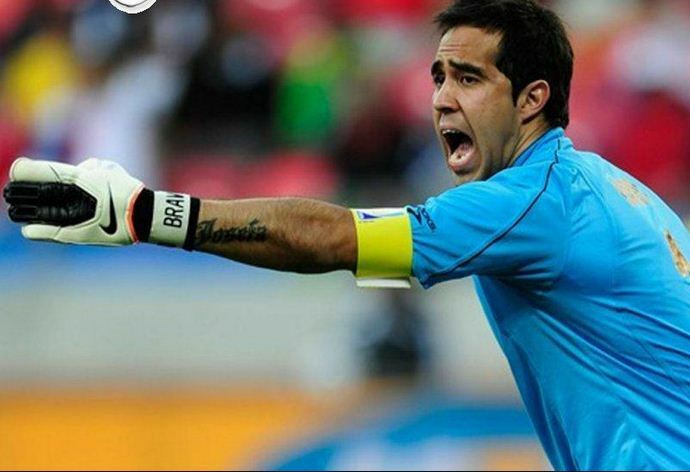 “FC Barcelona and Real Sociedad have reached an agreement for the transfer of the Chilean player Claudio Bravo. The goalie signs for the next four seasons. The Chilean becomes the fifth recruit for Barca 2014/2015 to be led by Luis Enrique. Bravo arrives at Camp Nou to share the cage with Marc-André Ter Stegen, another new face of the azulgrana team,” said in a statement released by Barcelona. Remains to see whether Claudio Bravo, with the level of play he displayed and his experience of eight years in the league, will be the first or second goalkeeper of Luis Enrique. Next post URUGUAY: FOUR GAME SUSPENSION FOR SUAREZ?